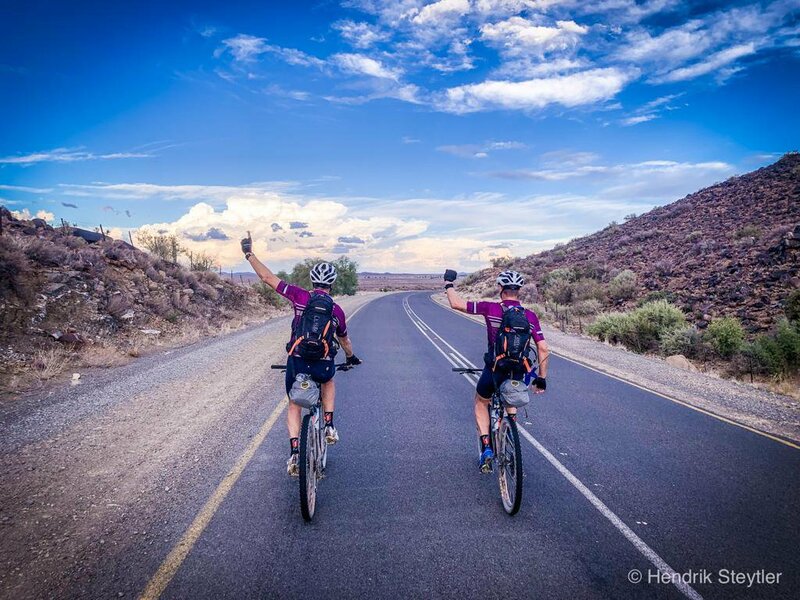 Good Morning Angels' #MilesForAMillion team reached their goal! 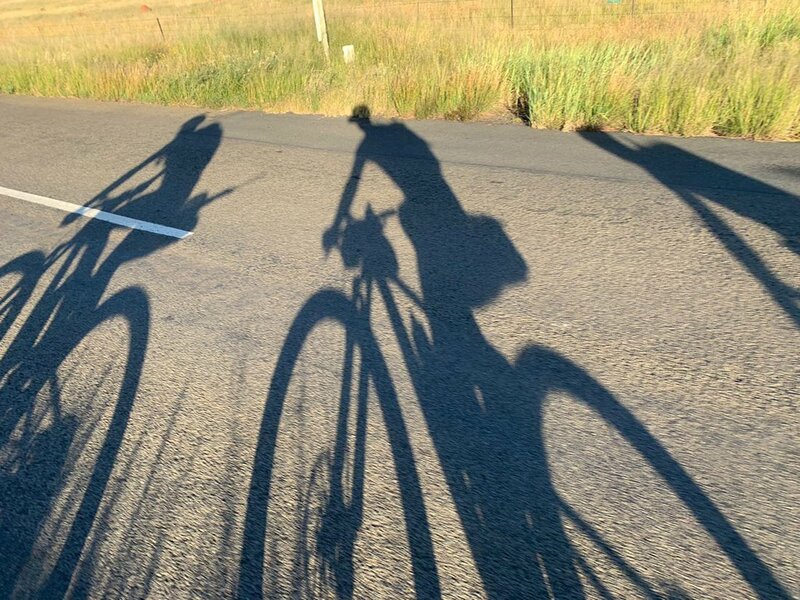 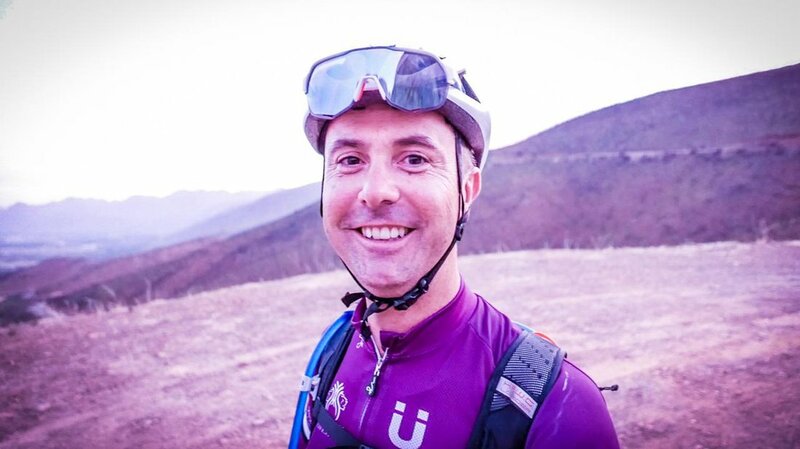 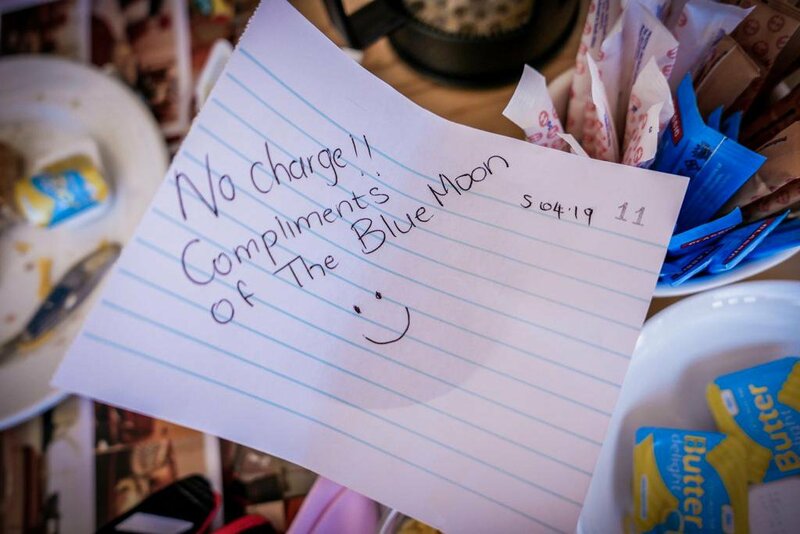 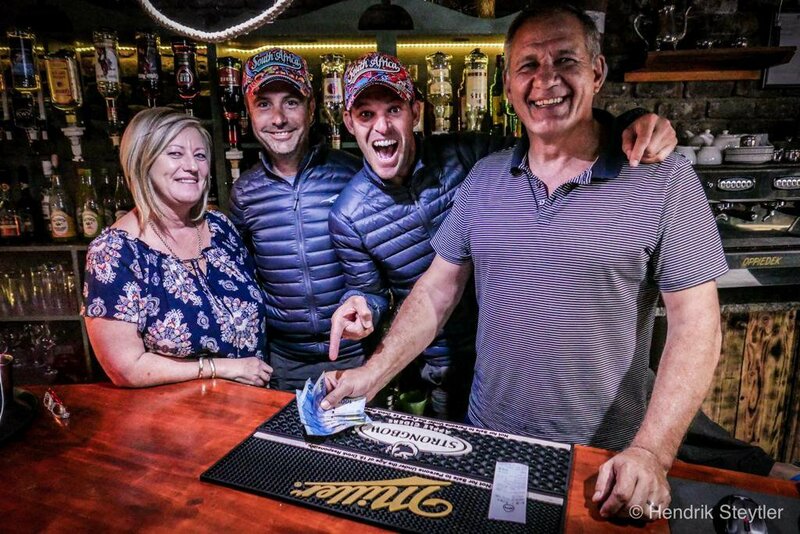 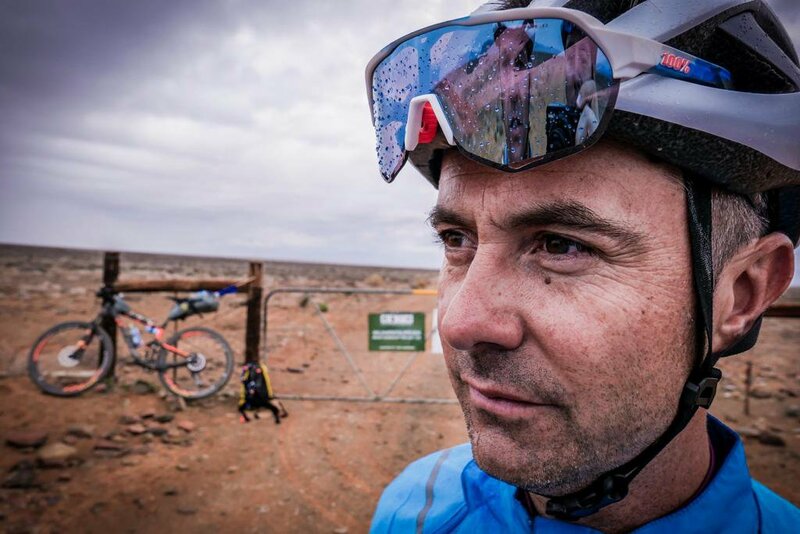 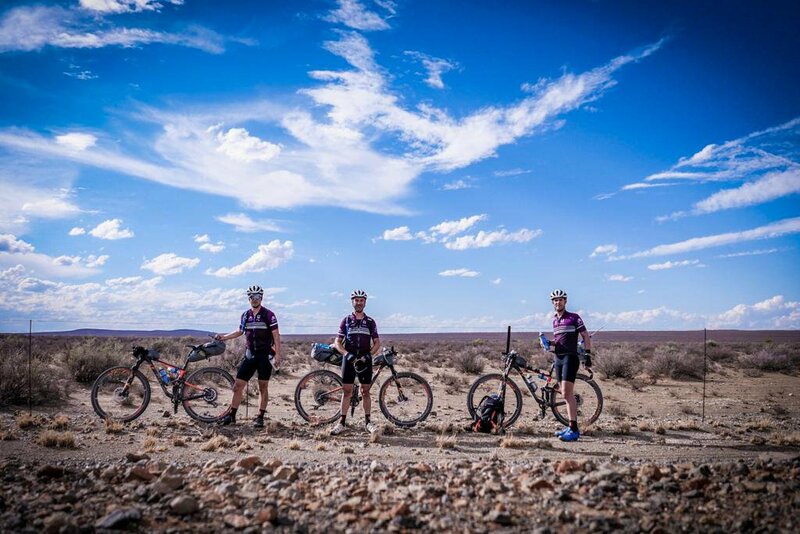 Three mountain bike enthusiasts will be taking to the road with the goal of raising R1-million for Jacaranda FM’s Good Morning Angels in their “Miles for a Million Tour”. 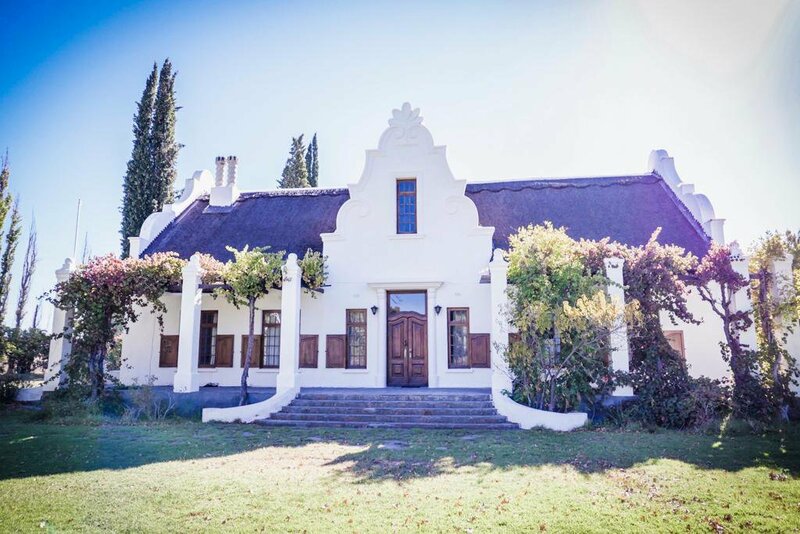 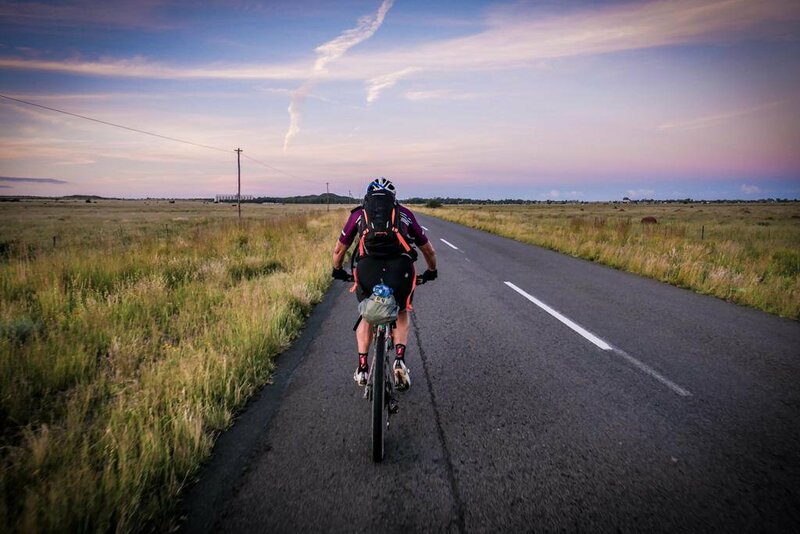 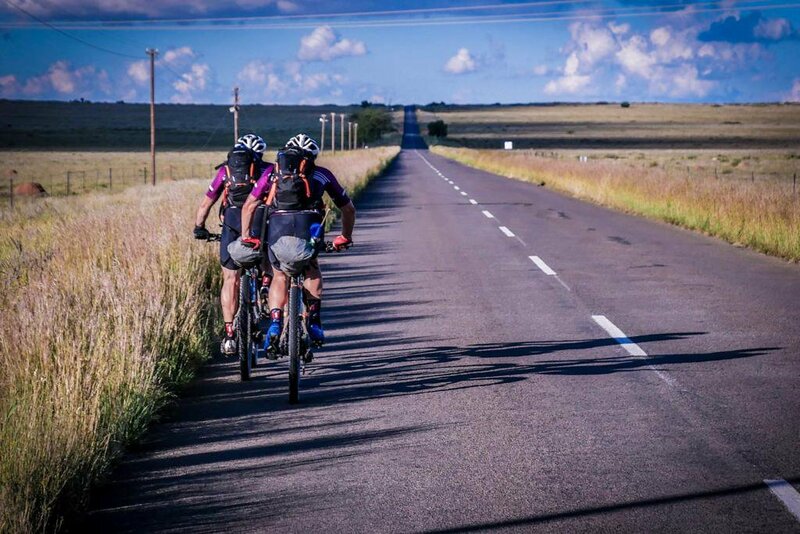 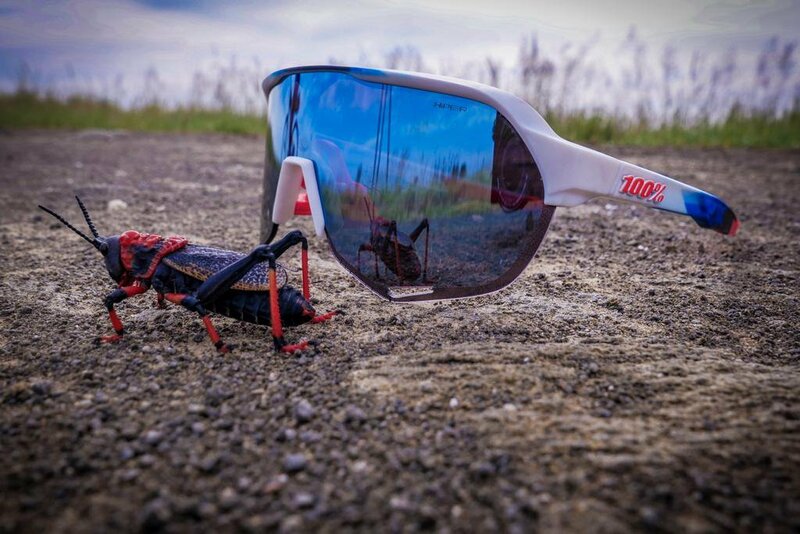 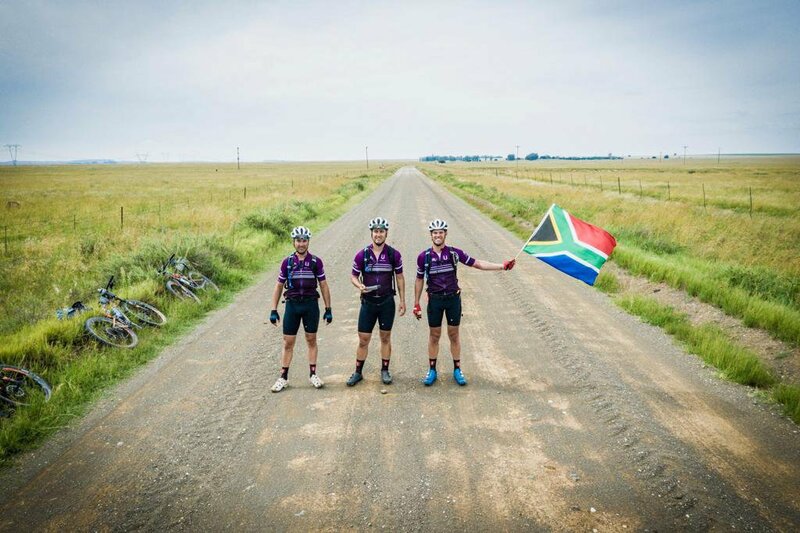 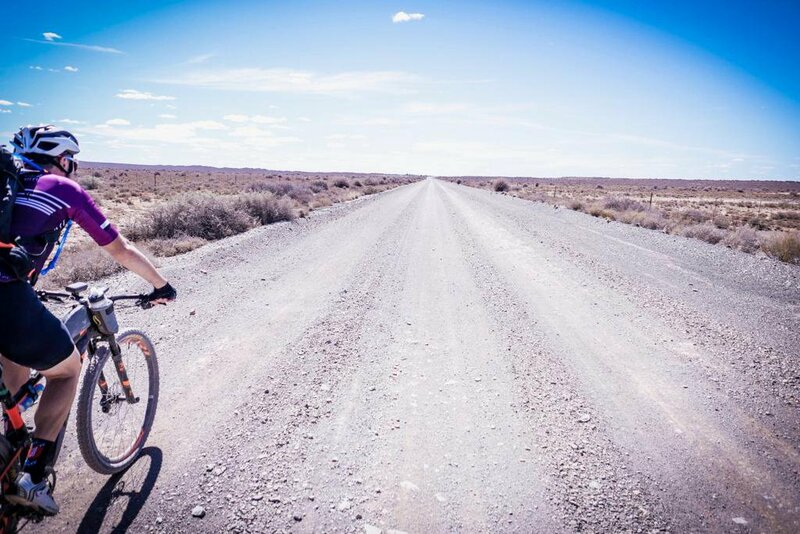 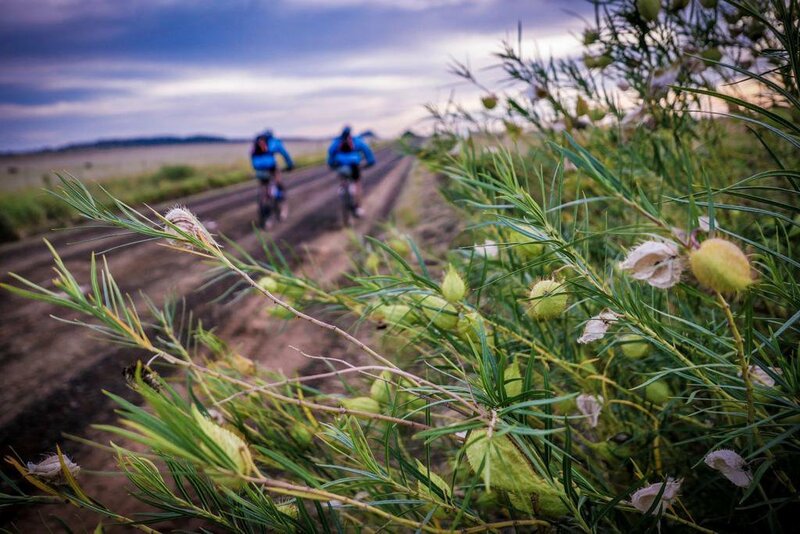 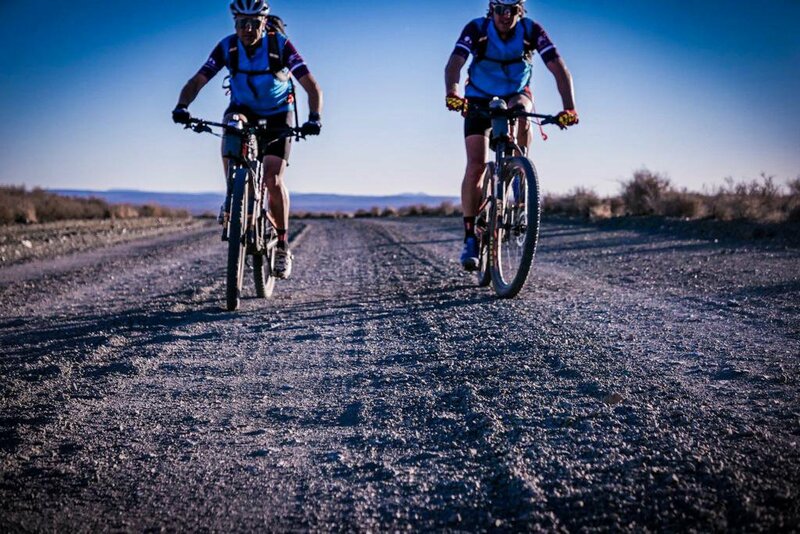 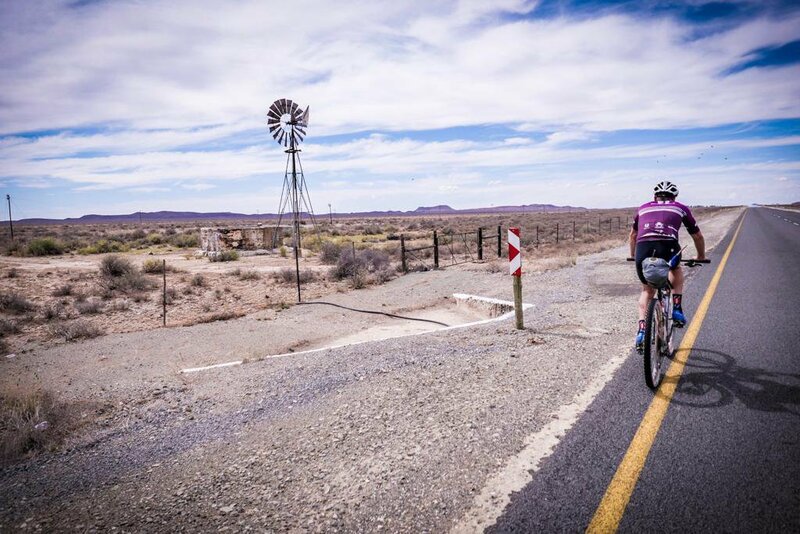 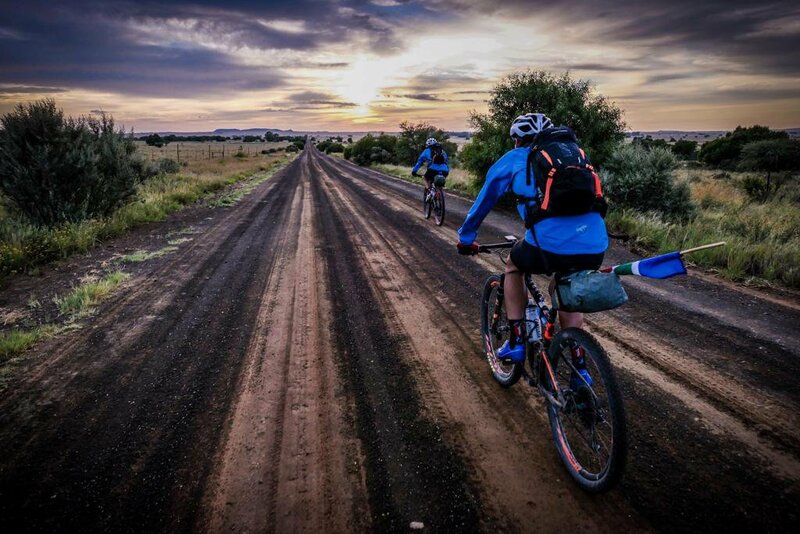 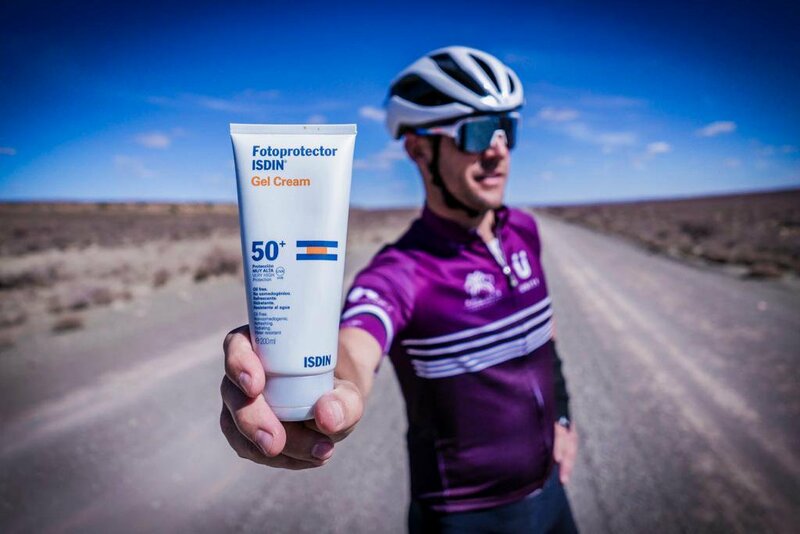 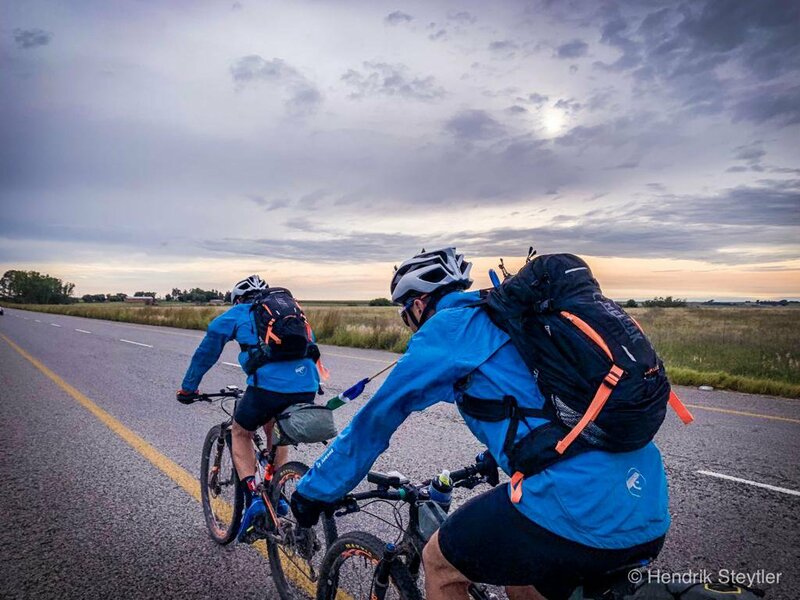 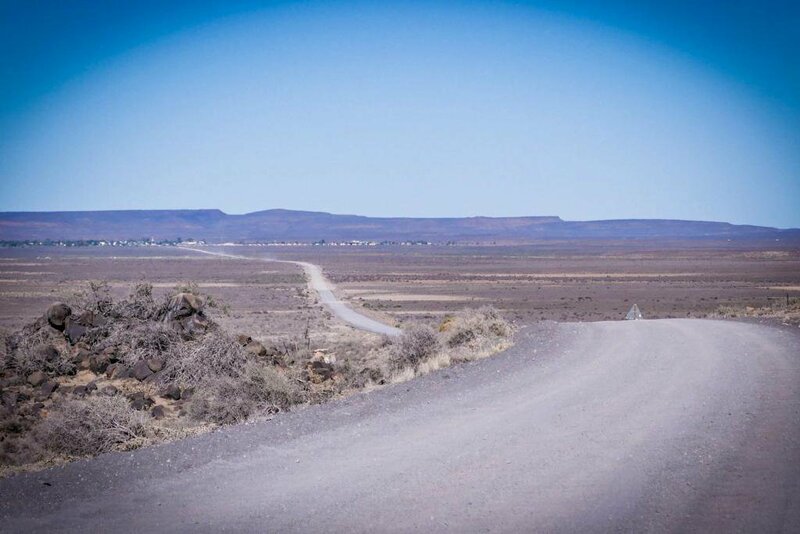 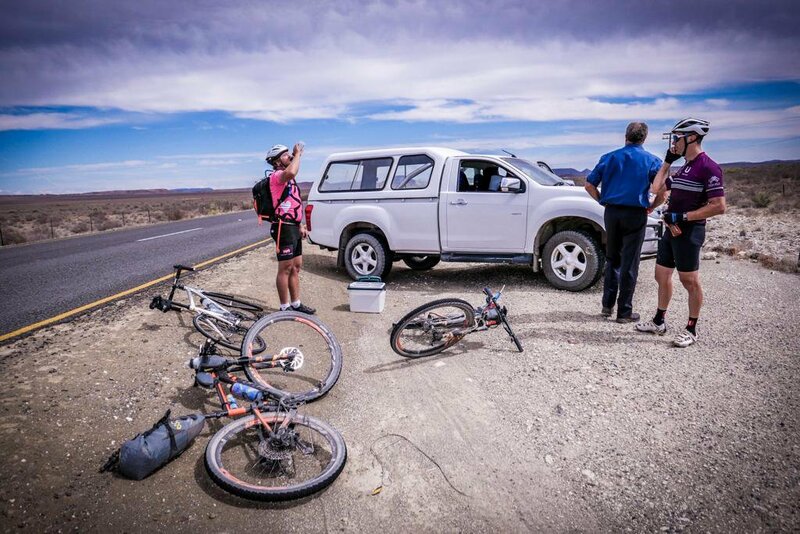 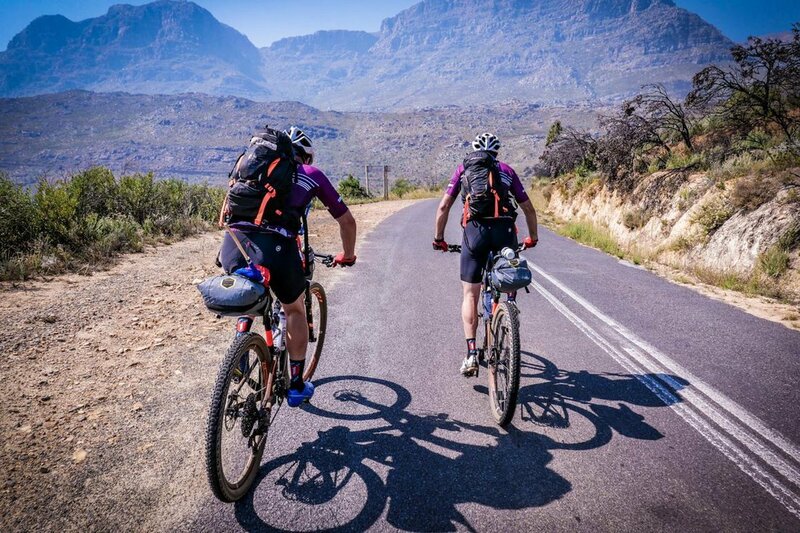 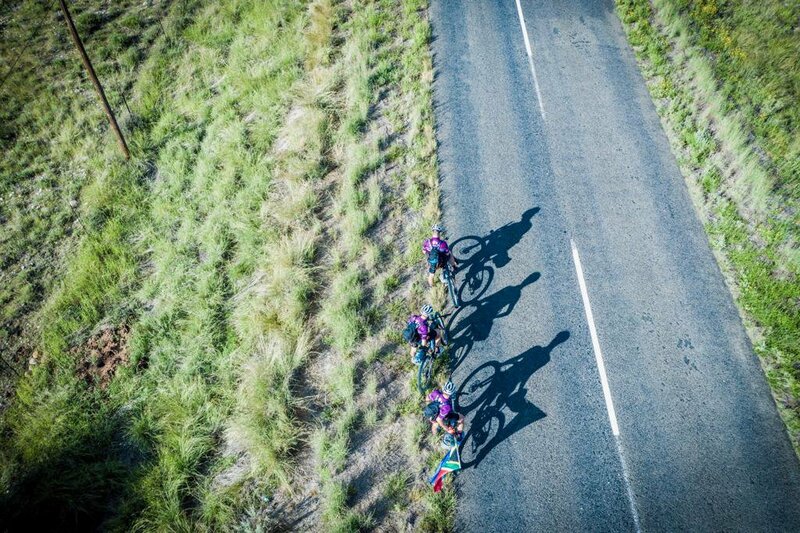 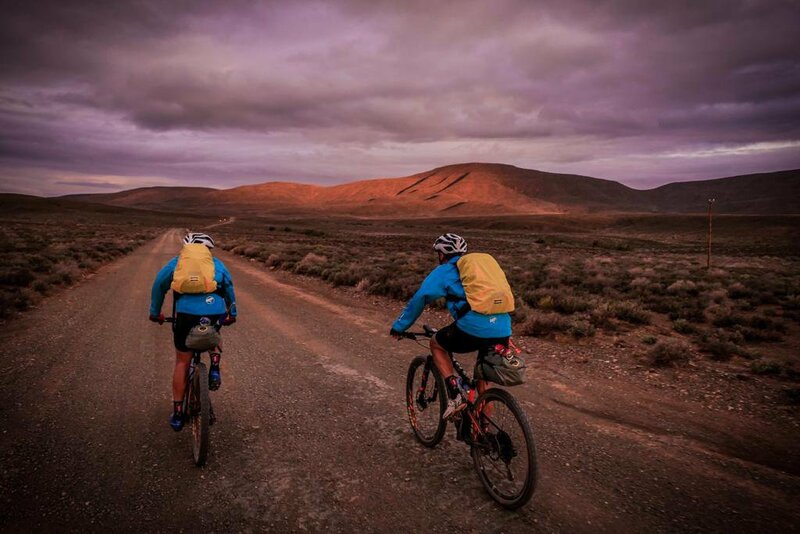 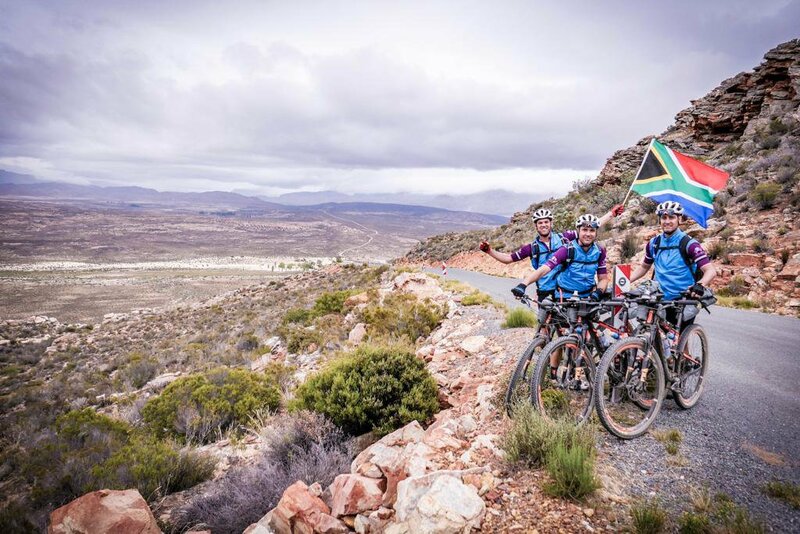 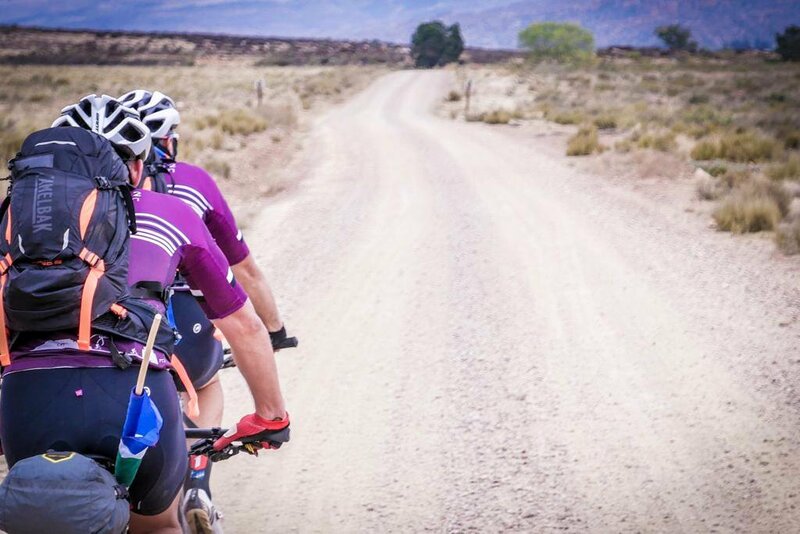 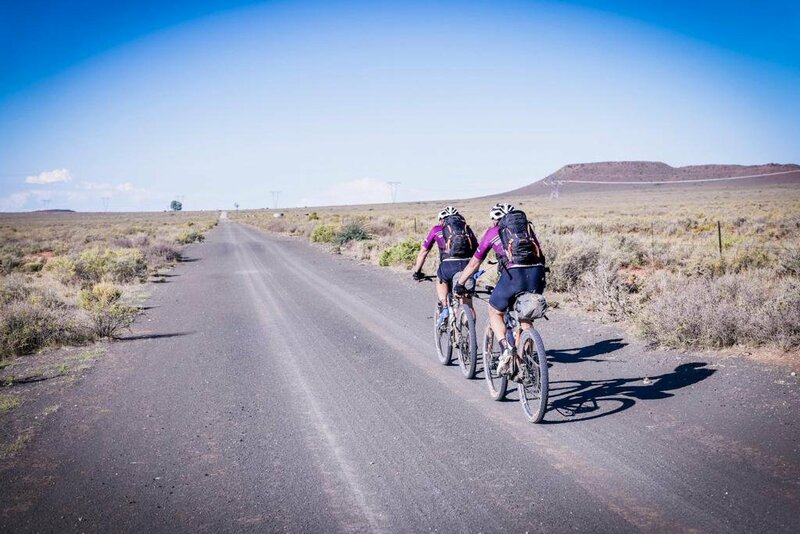 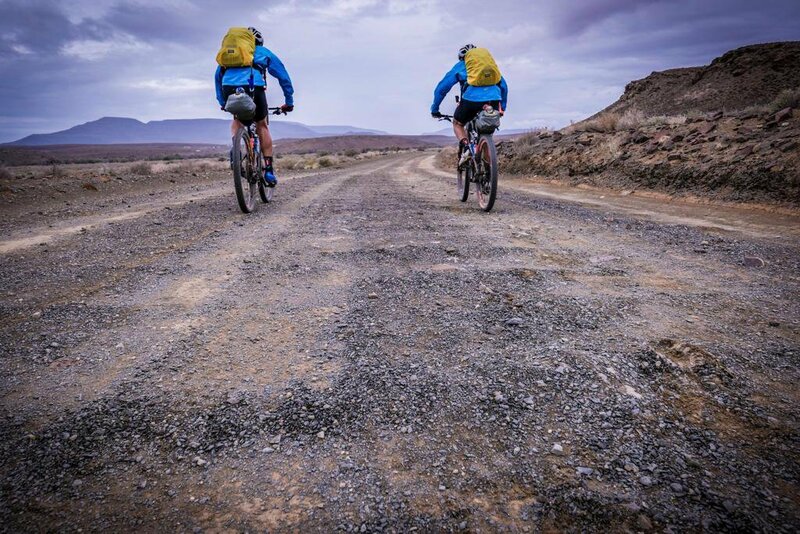 Three mountain bike enthusiasts will be taking to the road – and dirt – on 3 April 2019, tackling a grueling route of about 1,700km with the goal of raising R1-million for Jacaranda FM’s Good Morning Angels in their “Miles for a Million Tour”. 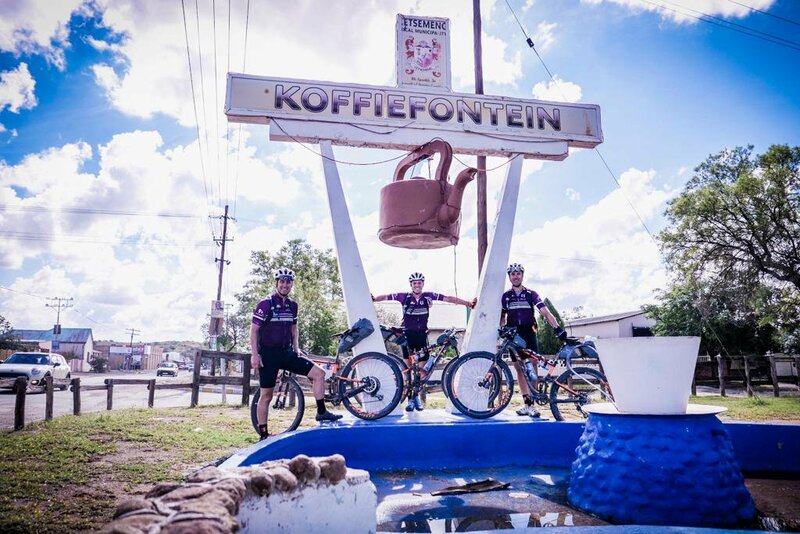 Hendrik Steytler, Deon Brink, and Ivor Potgieter will be visiting various towns along the way to explore SA in all its beauty and will eventually end their extraordinary journey at Jacaranda FM & Tracker’s Off the Beat ‘n Track – a family fun day of mountain biking and music that will be taking place at The Big Red Barn, Irene on the 13th of April. 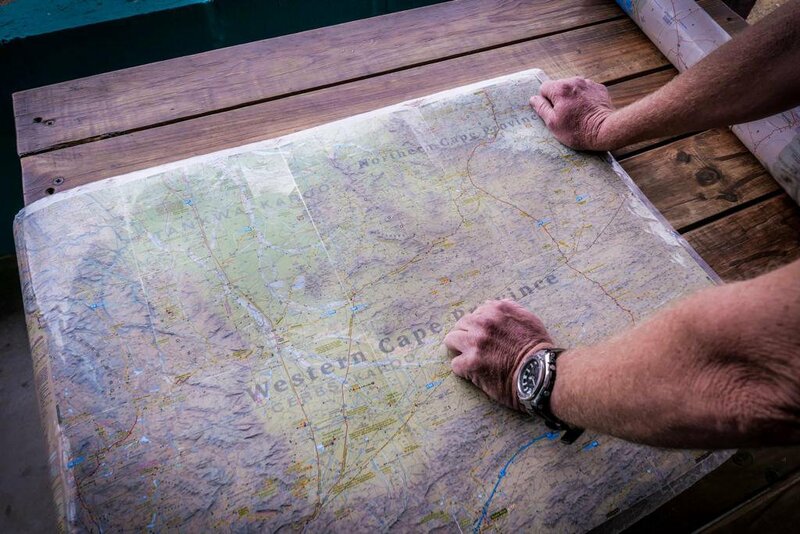 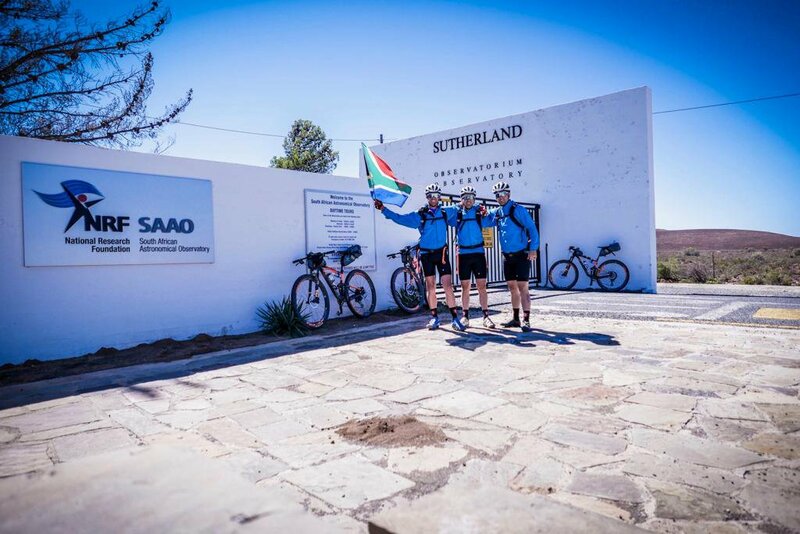 Their route will start at the Commodore Hotel at the V&A Waterfront on Wednesday morning and run through Wellington, Ceres, Kouebokkeveld, Houdenbek Farm, Tankwa Padstal, Tankwa River Lodge, Sutherland, Fraserburg, Carnavorn, Vosburg Town, Britstown, Potfontein, Petrusville, Van Der Kloof Dam, Luckhof, Koffiefontein, Petrusburg, Dealsville, Bultfontein, Wesselbron, Bothaville, Vredefort, Parys, Sandton, and, finally, The Big Red Barn in Irene. 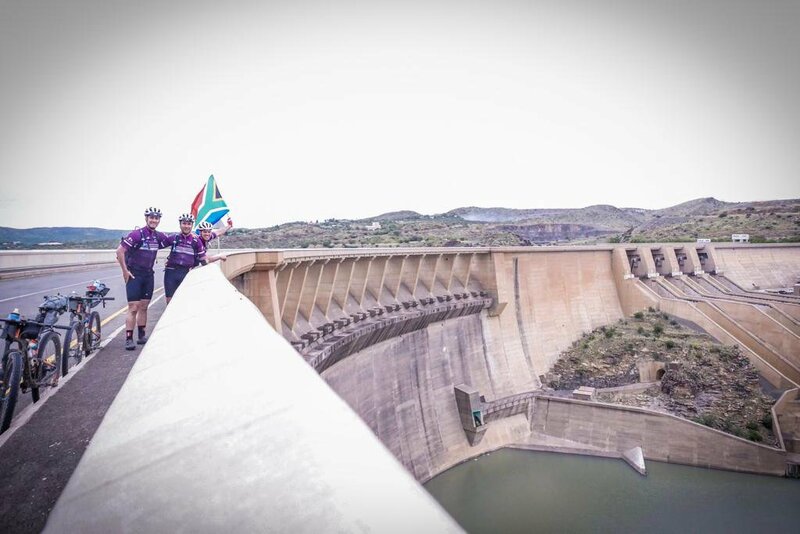 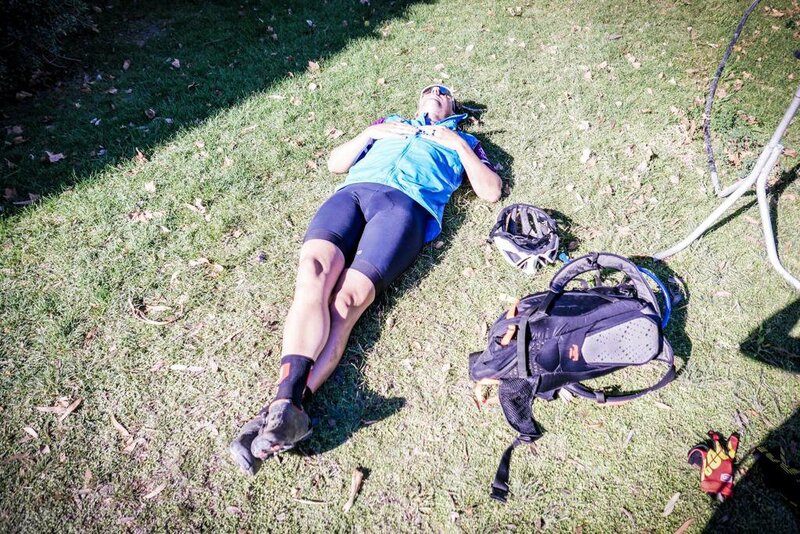 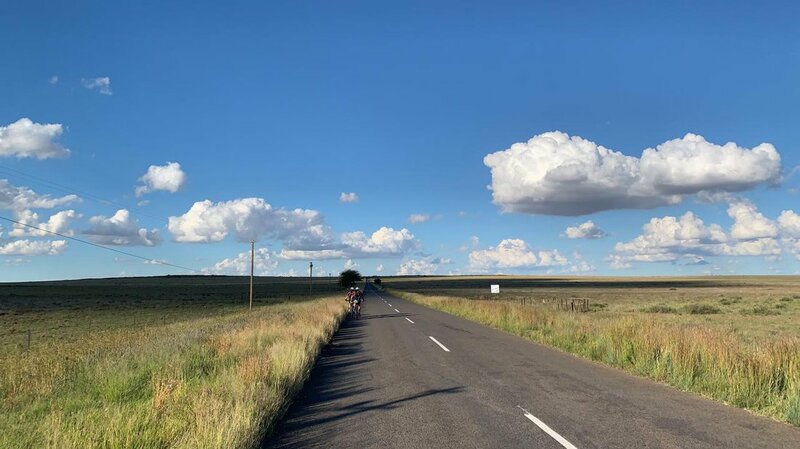 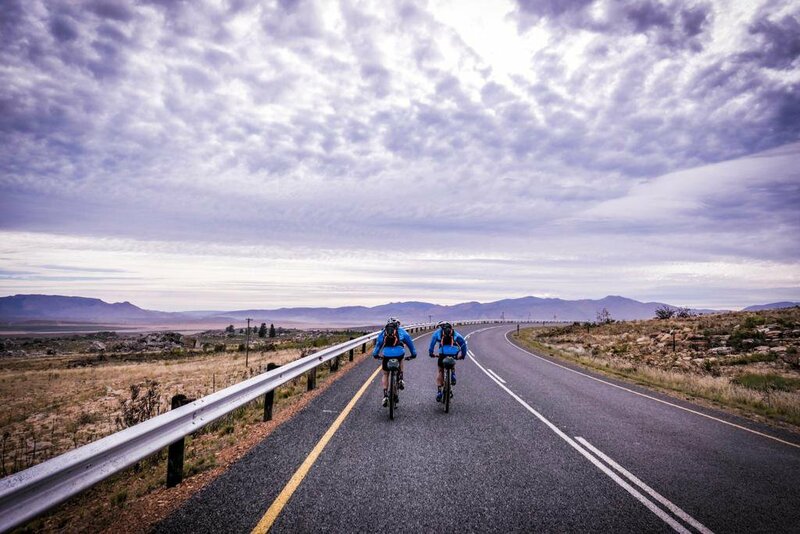 The Miles for a Million team's journey from Vanderkloof Dam took them to Petrusburg covering 145km! 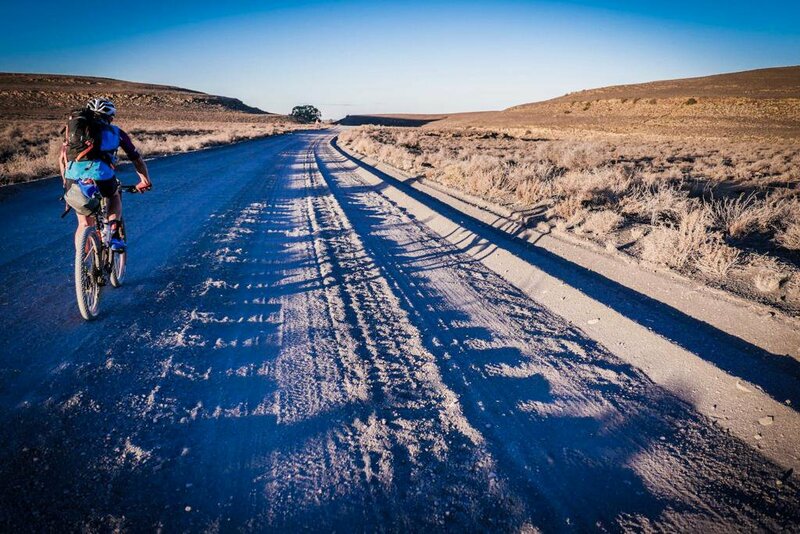 The conditions are rough and Deon's fingers are a big problem. 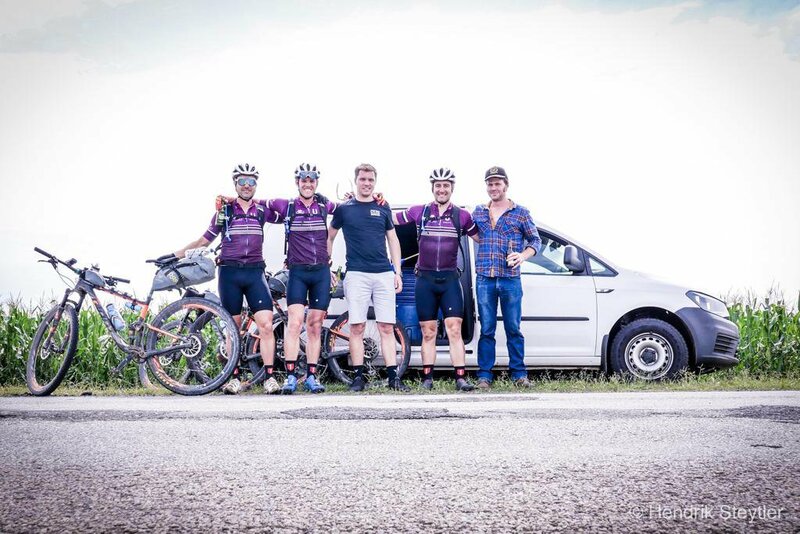 They need all your help to get back to Gauteng! 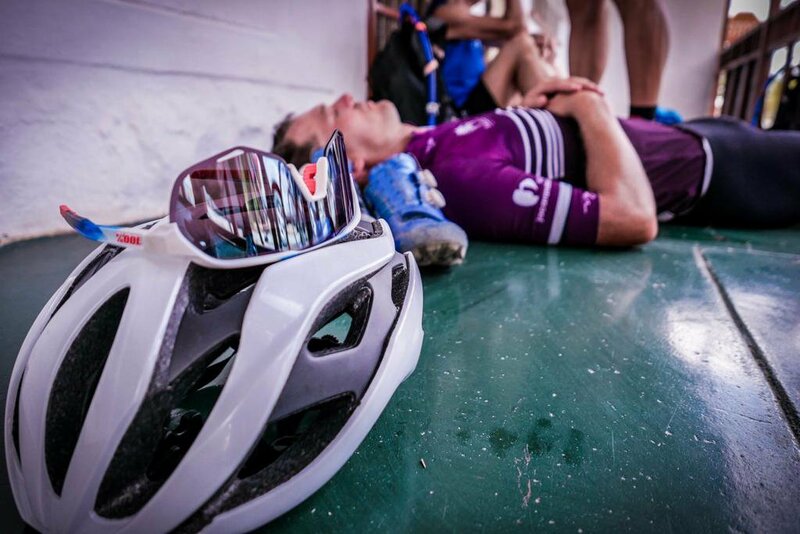 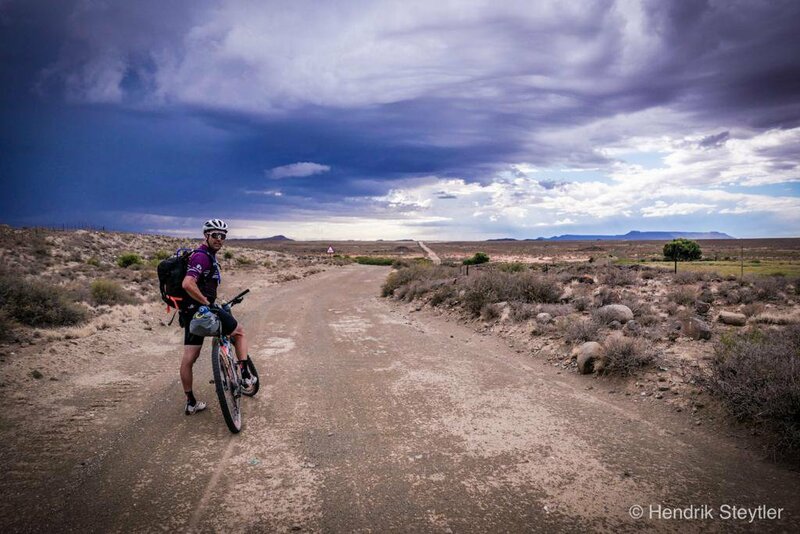 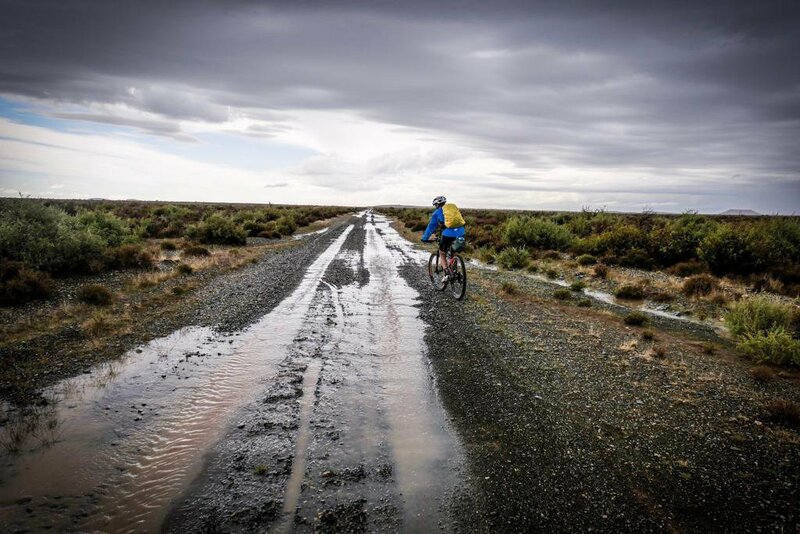 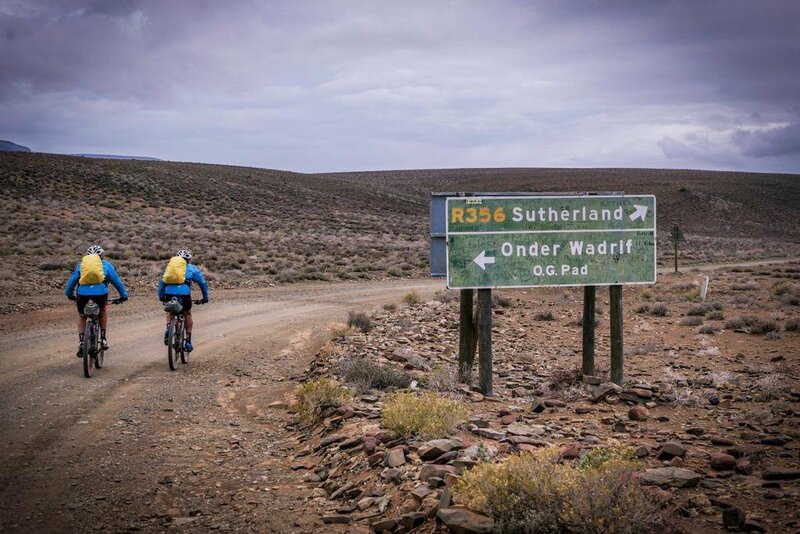 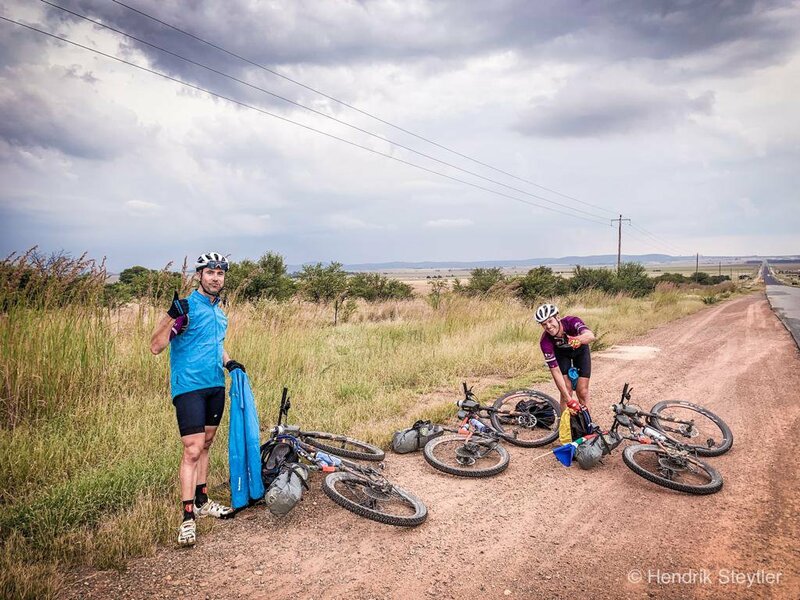 It was one of the hardest days of their lives on a bike, according to Hendrik. 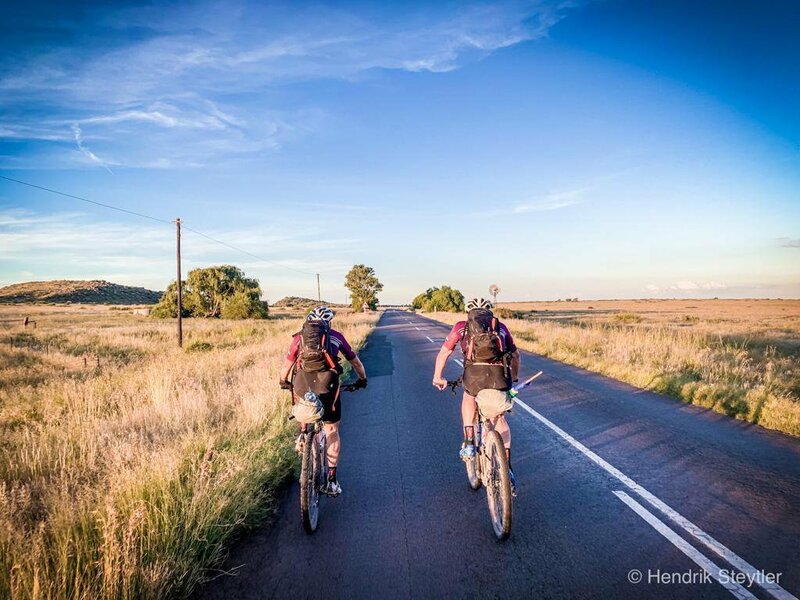 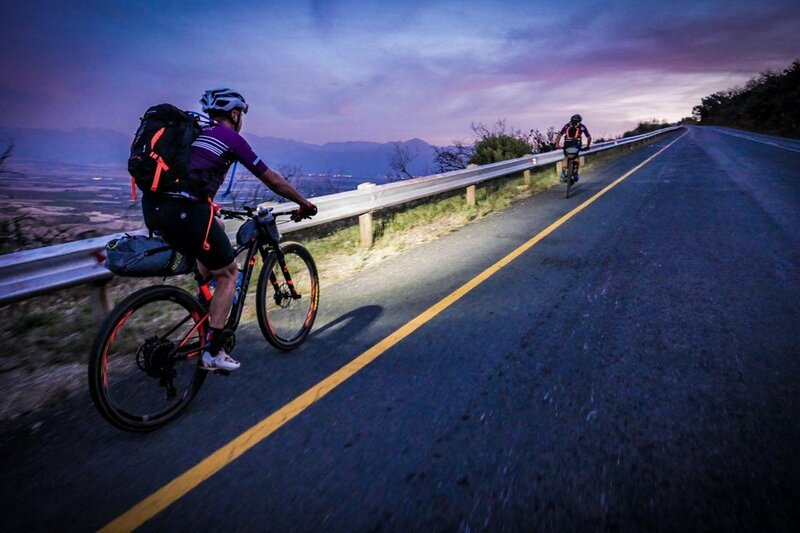 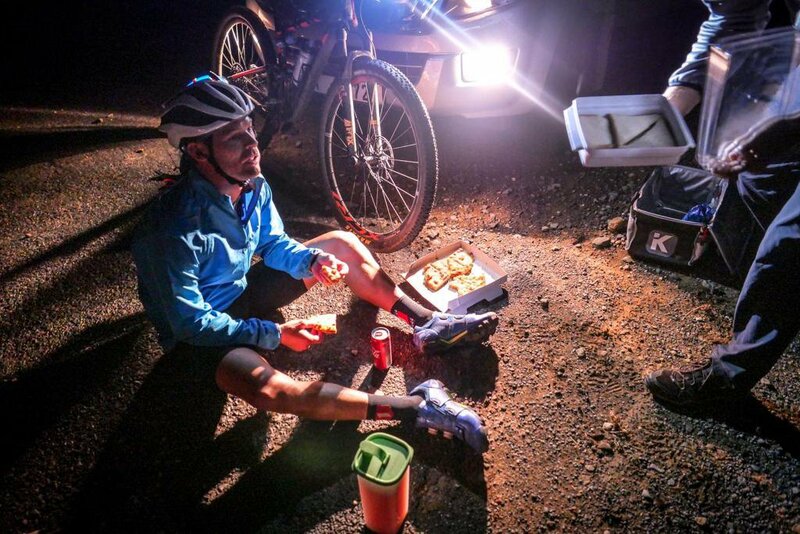 They started the day in Britstown and ended their day 172km later in Vanderkloof Dam. 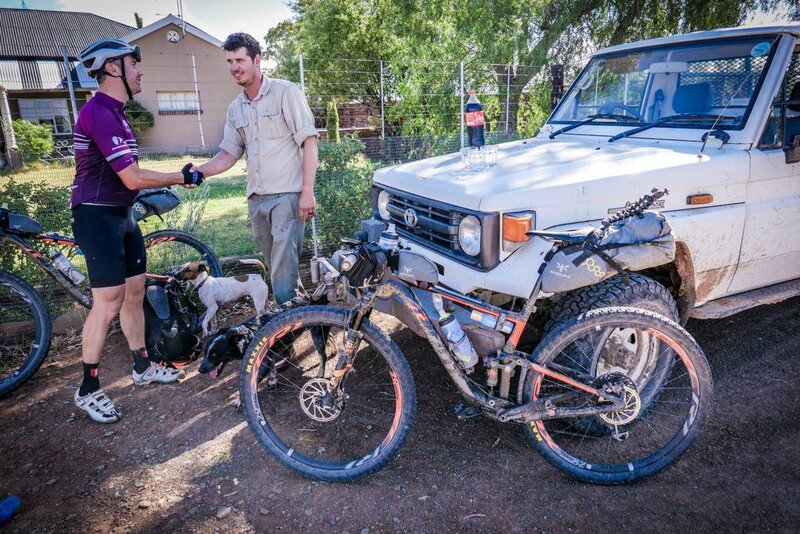 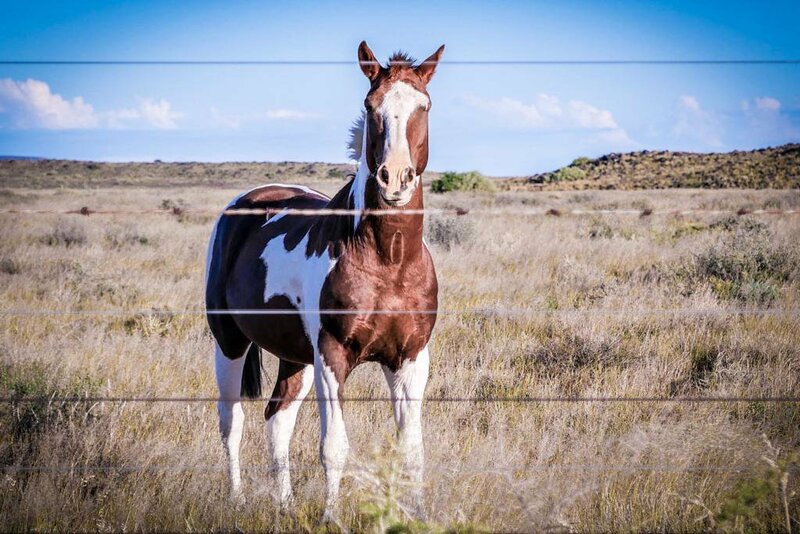 Roux and Rachelle Steenkamp picked up the story on Facebook. 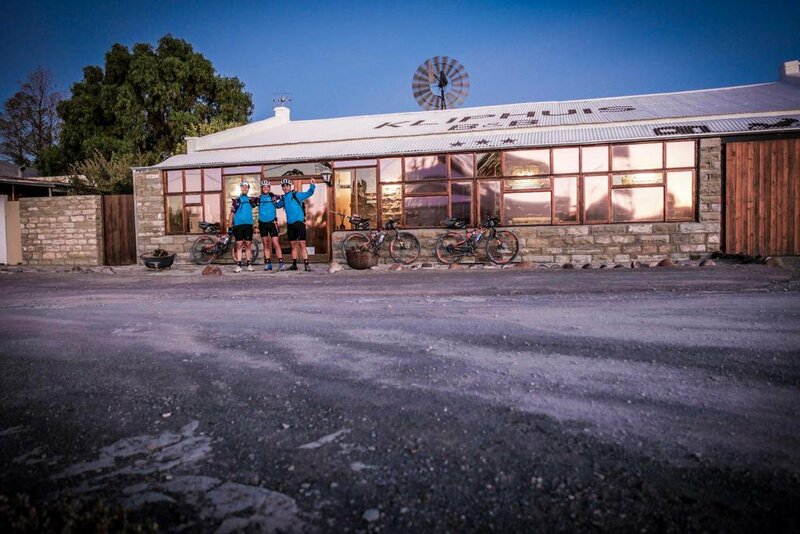 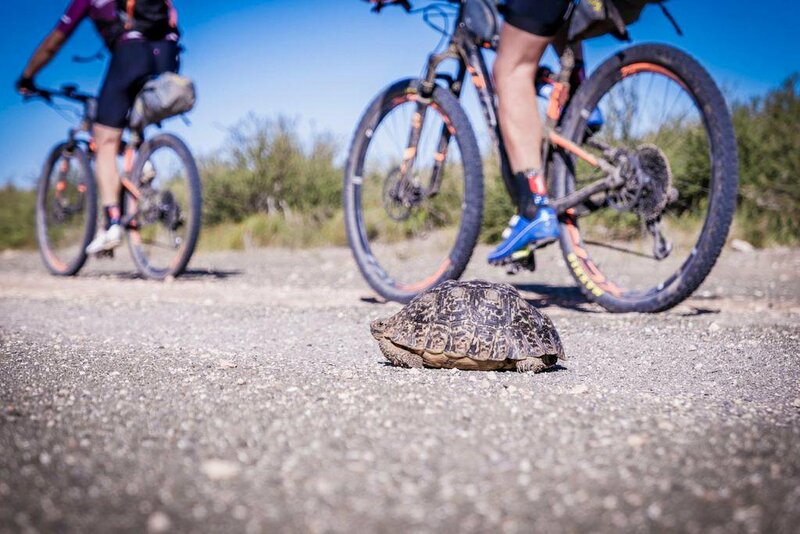 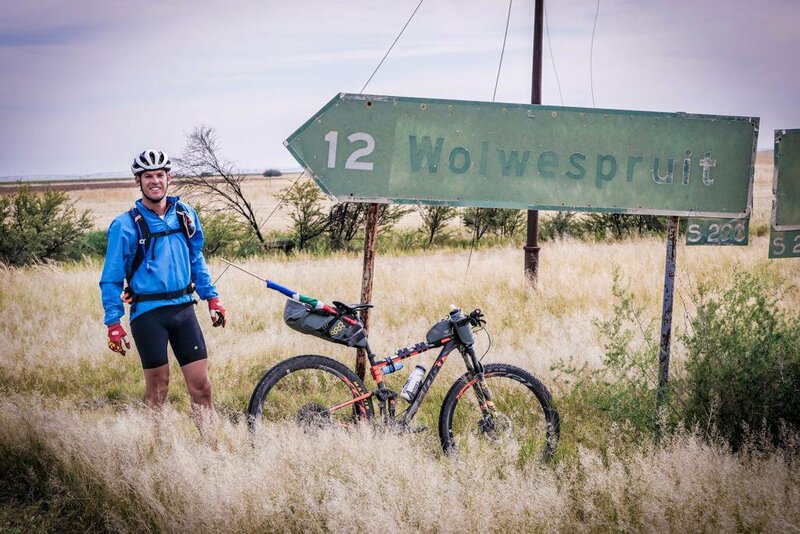 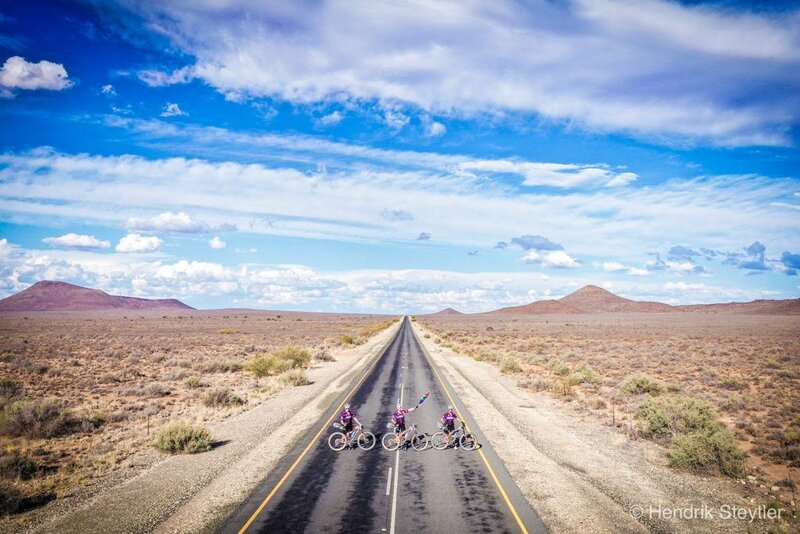 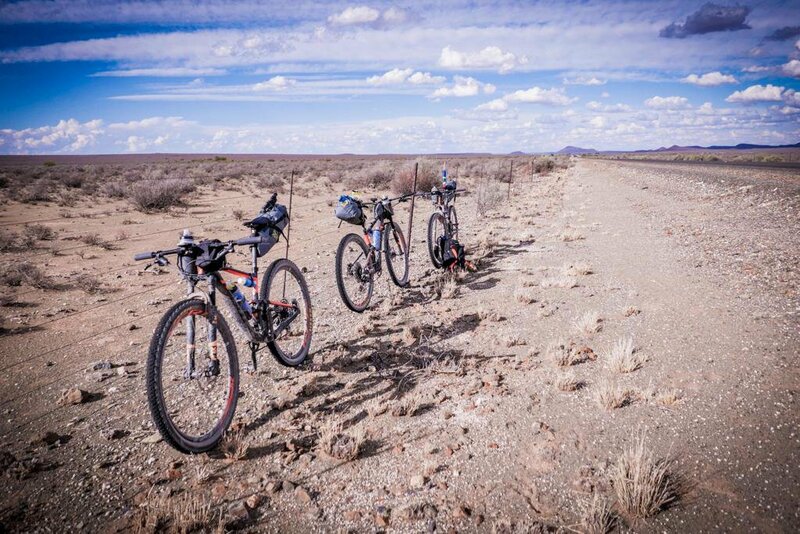 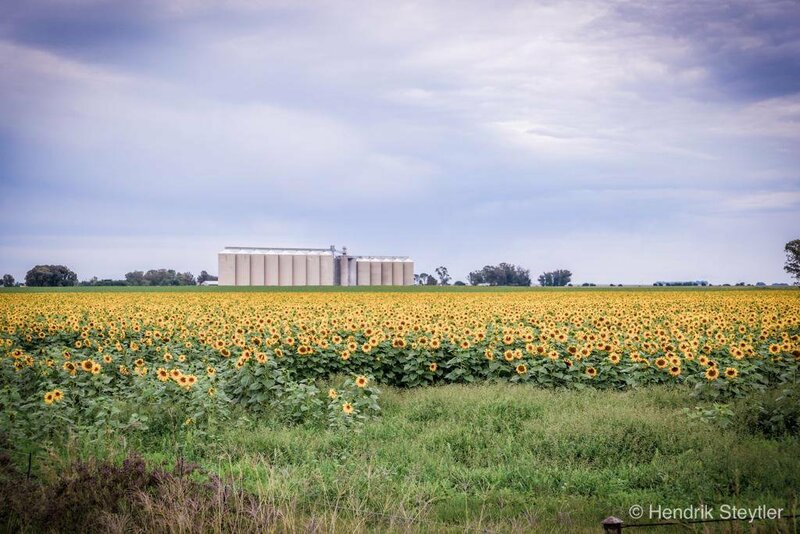 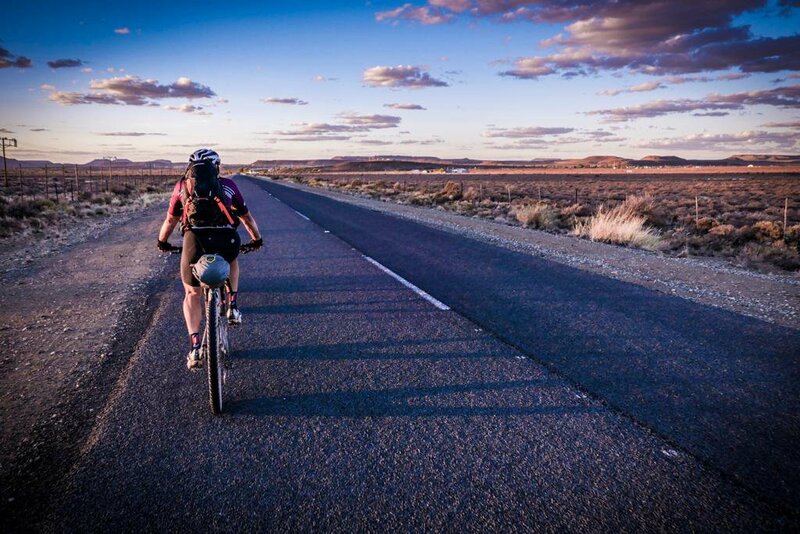 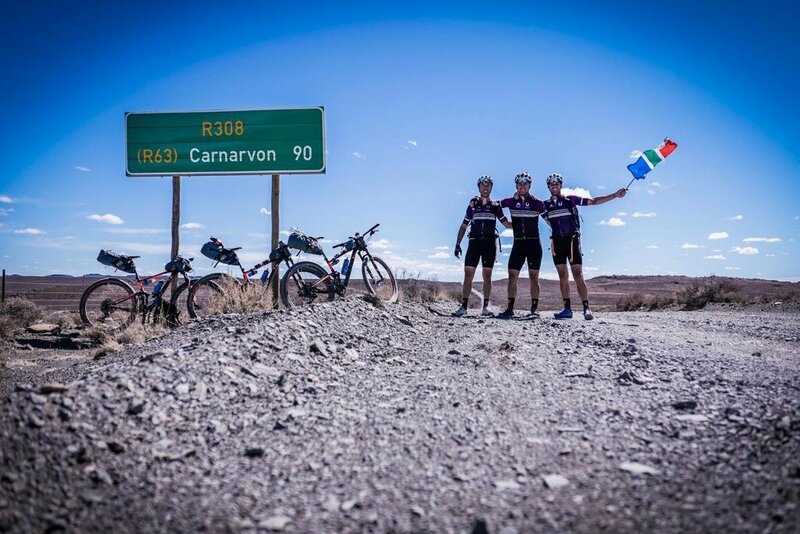 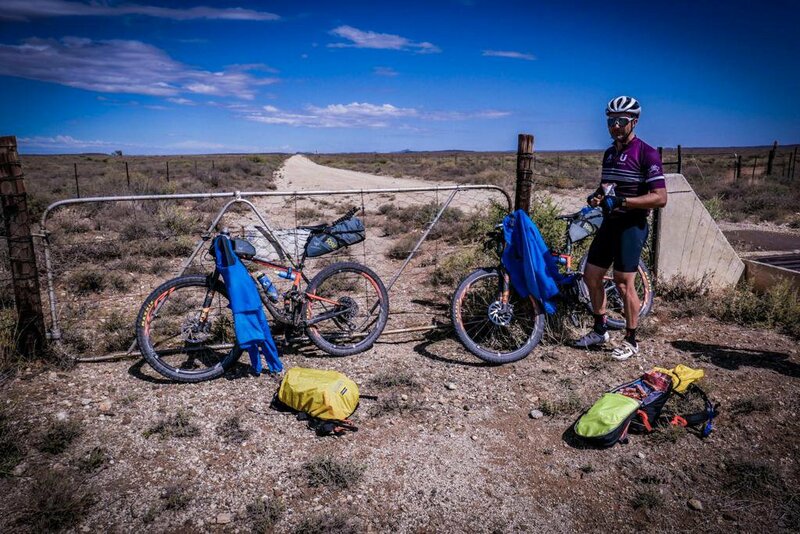 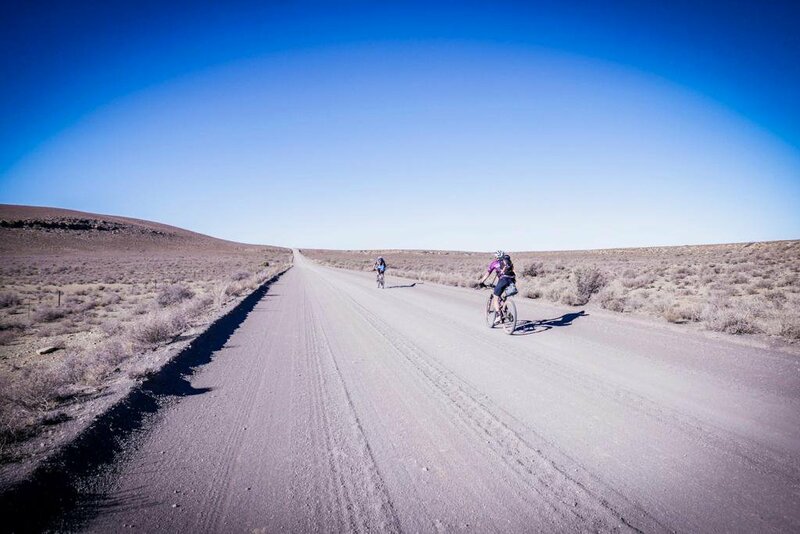 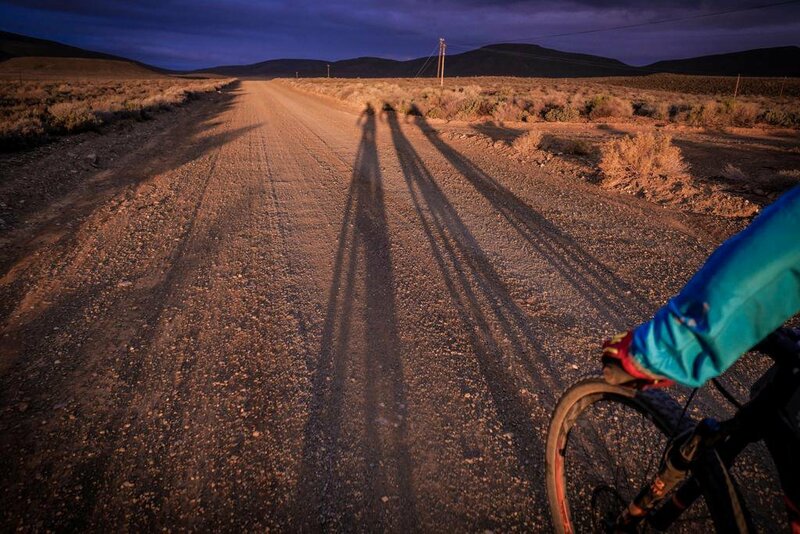 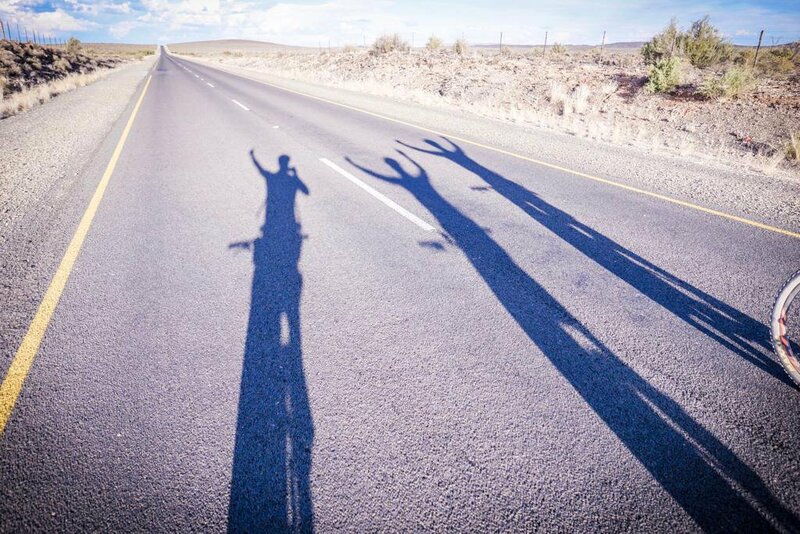 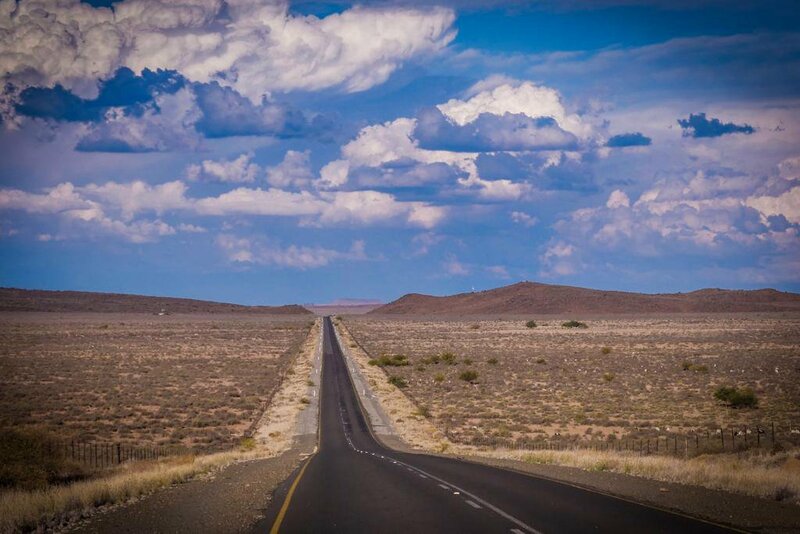 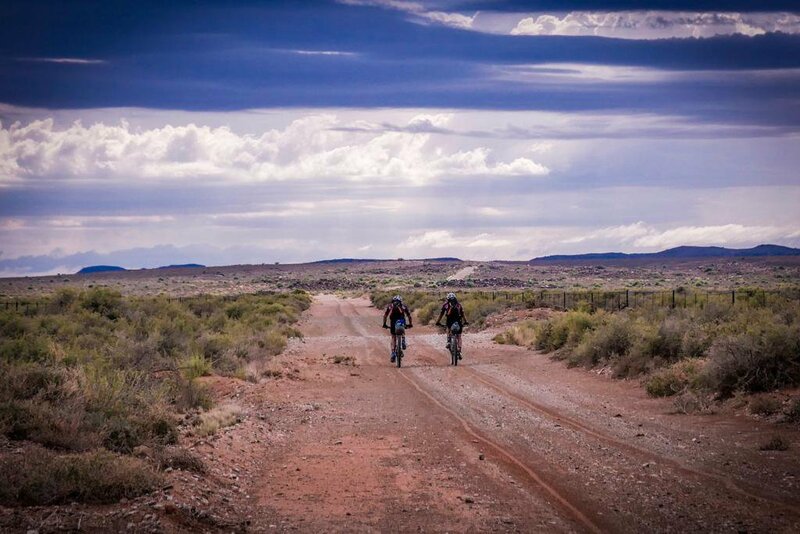 They reside in Carnarvon and joined Hendrik, Deon and Ivor on the road and cycled 88km with them! 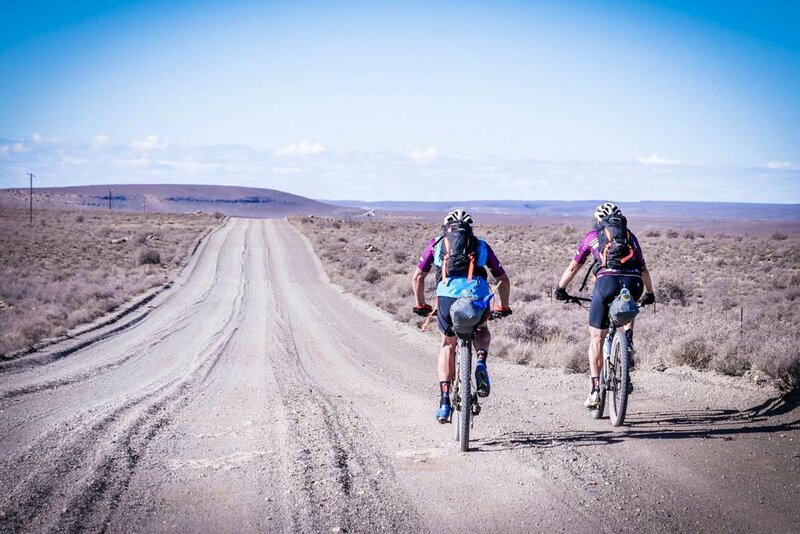 Their Day 5 journey ended in Britstown. 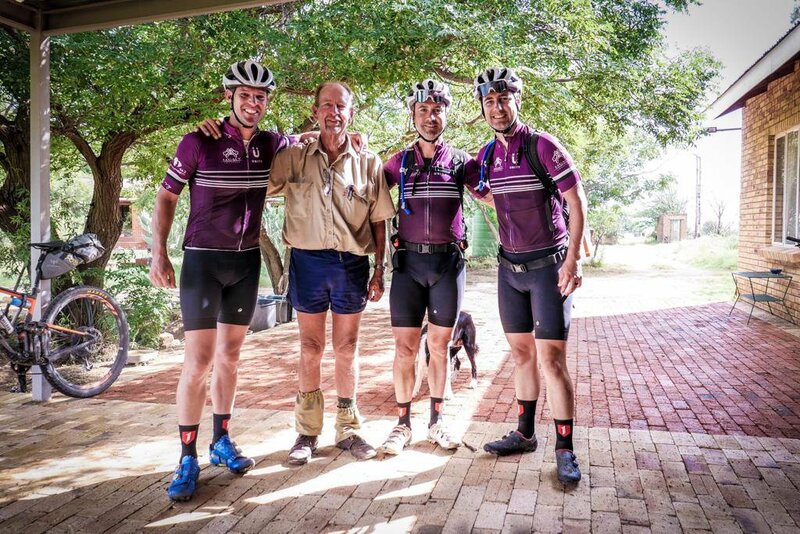 To donate to the incredible cause, DONATE here. 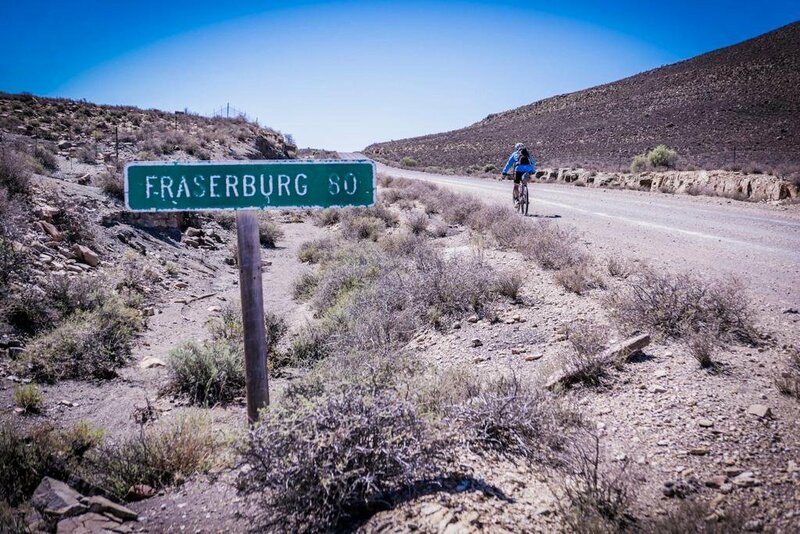 The journey from Sutherland to Fraserburg. 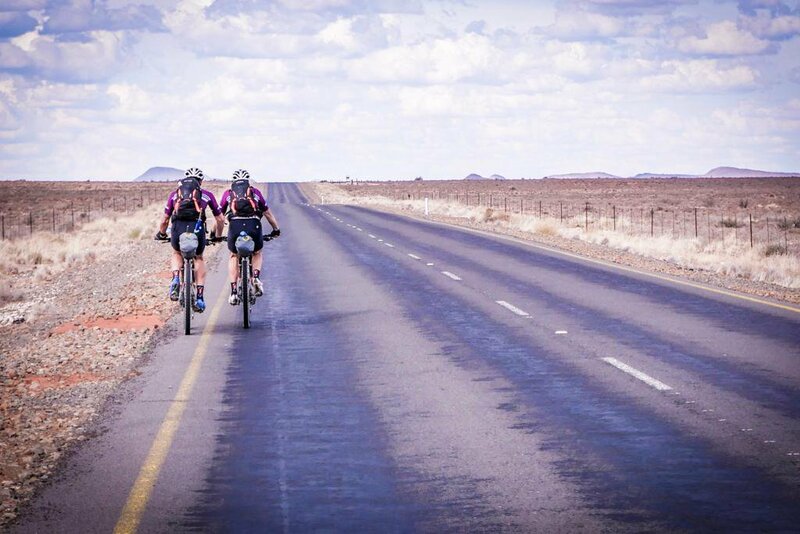 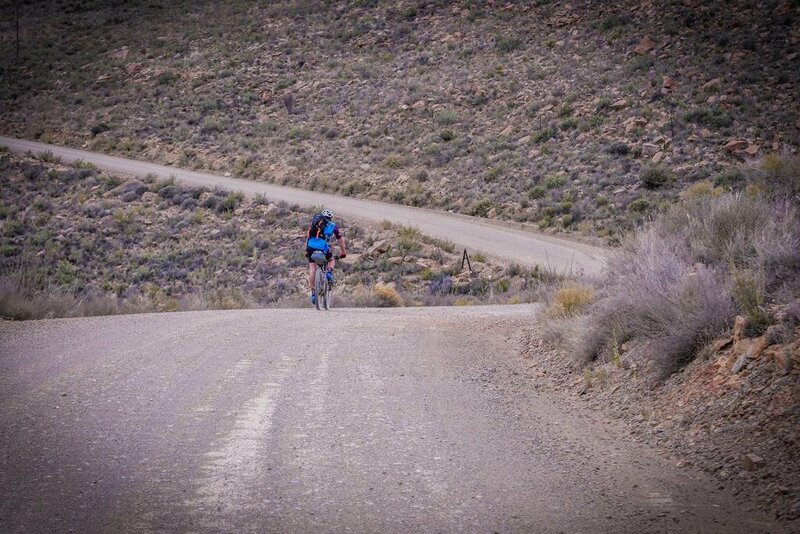 According to the three guys Thursday, 4 April was brutal - all 208km of it! 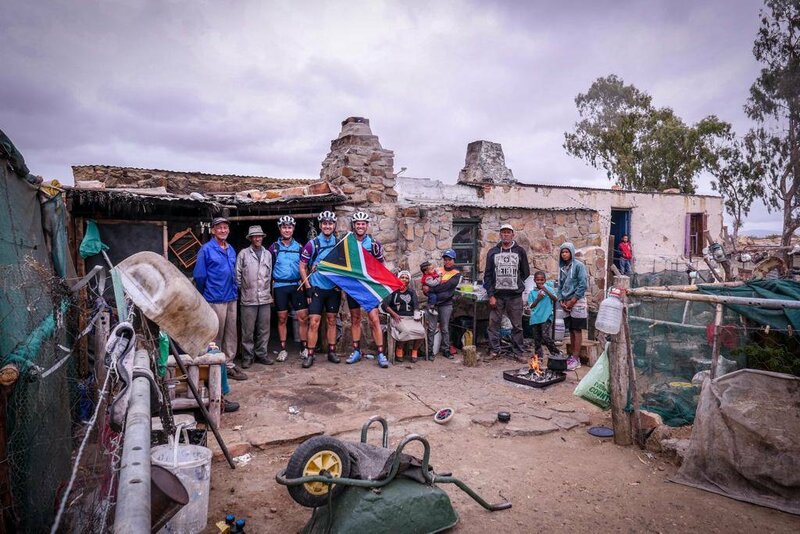 They experienced rain, uphills and had coffee at an abandoned house. 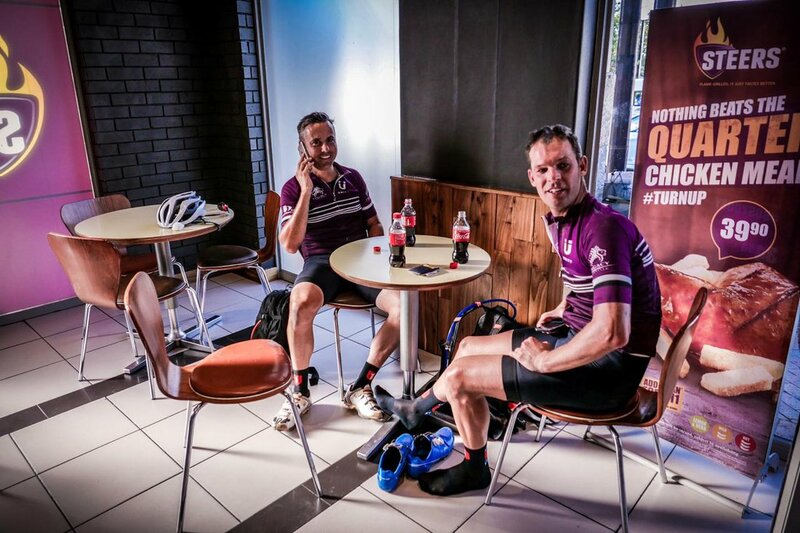 All for a good cause! 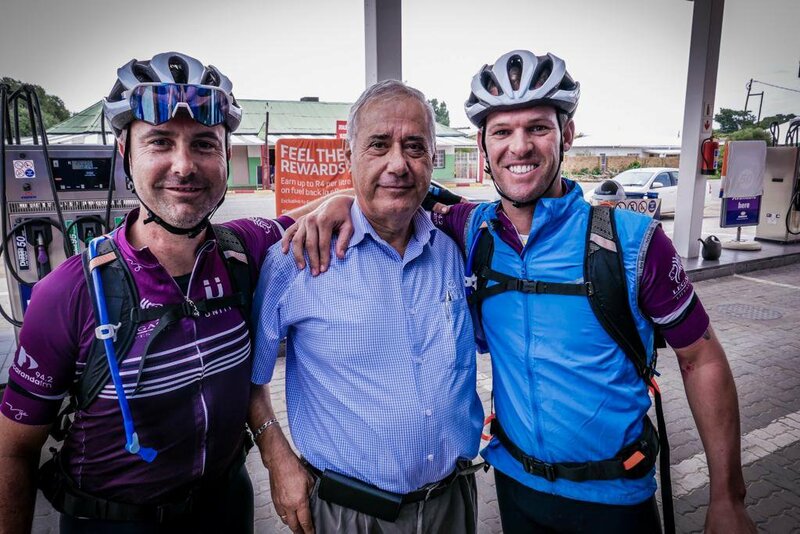 Hendrik, Deon, and Ivor left Cape Town yesterday morning to raise R1-million for Good Morning Angels. 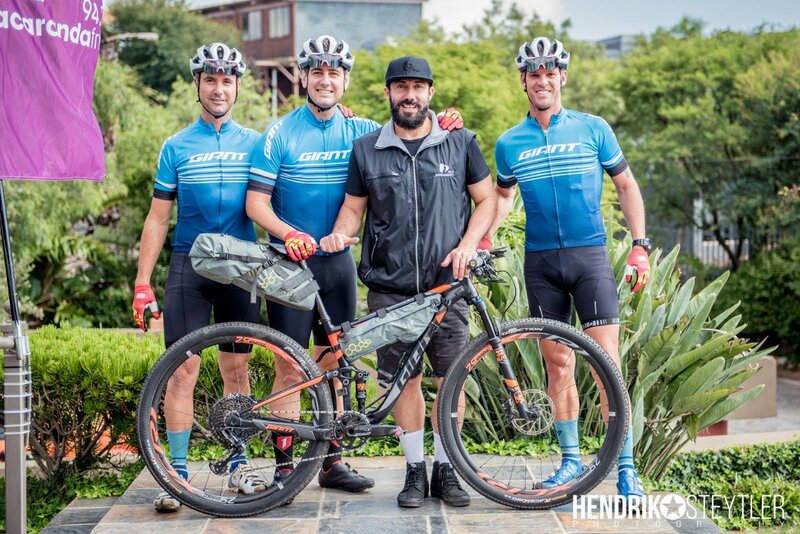 Martin called Hendrik to get an update on how things are going. 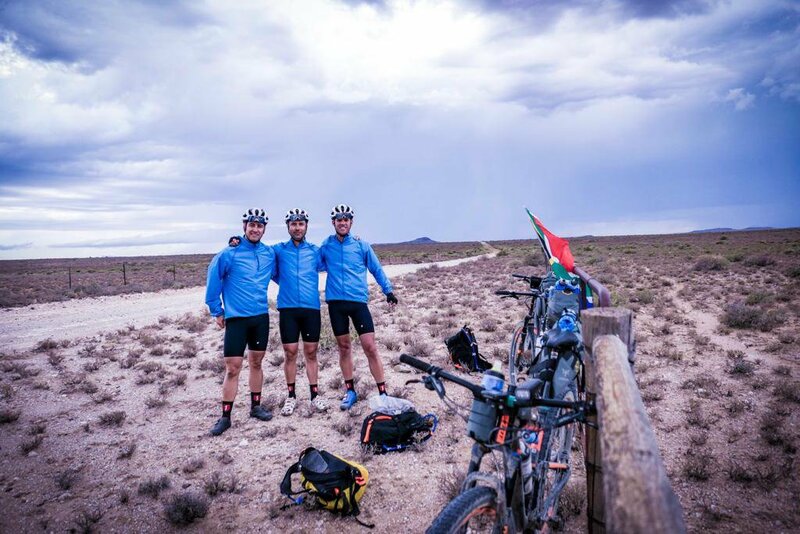 The first day was difficult, but they completed a 160km. 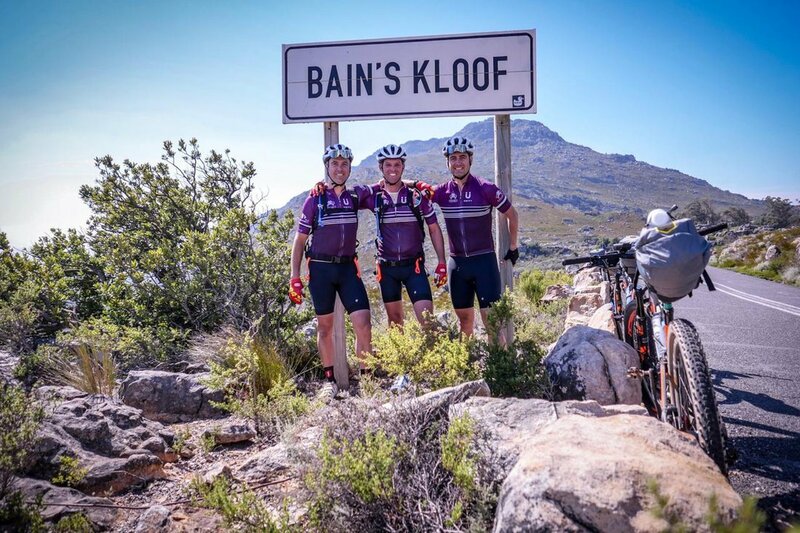 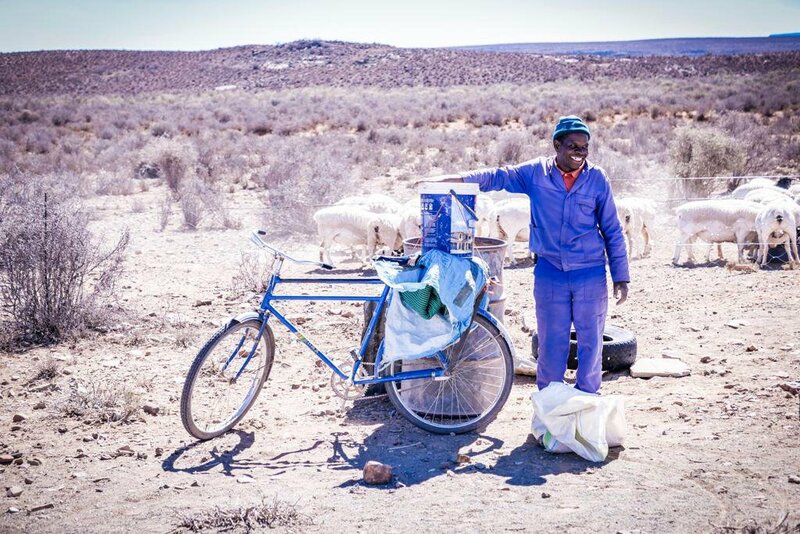 Listeners and companies are invited to support the three cyclists on their 11-day trek, by sponsoring kilometers at R500 each. 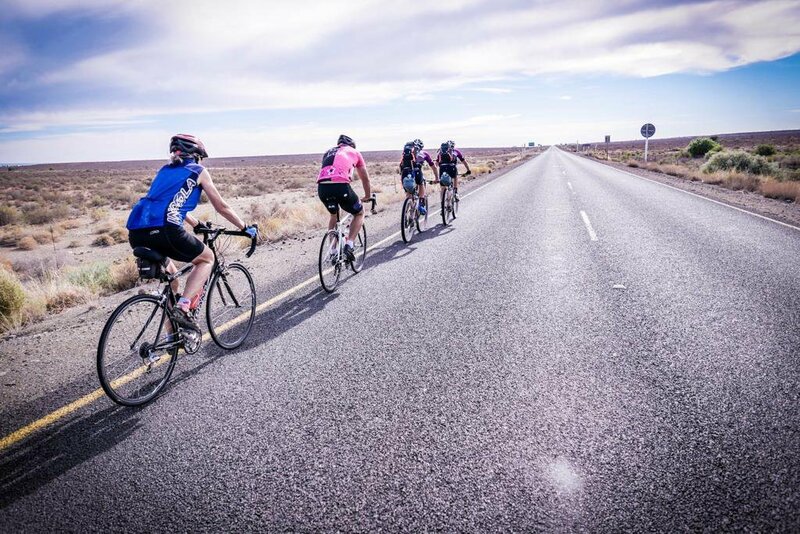 All funds raised will go towards vulneral people and worthy causes through the Good Morning Angels Fund NPC. 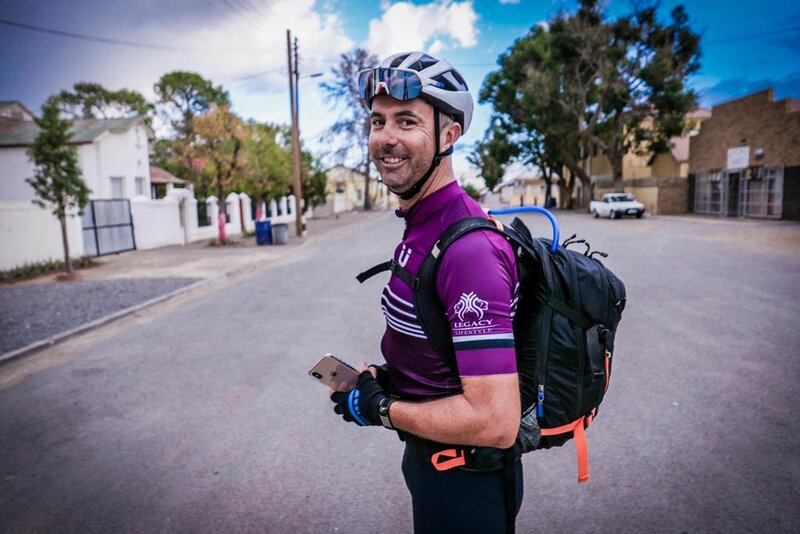 With the aid of everyday angels – individuals, businesses, organisations, and well-loved celebrities – Jacaranda FM’s Good Morning Angels have raised millions to help those in desperate need. 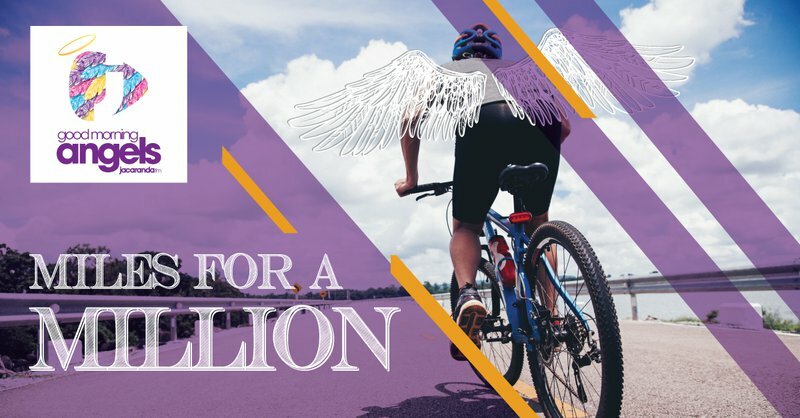 Whether it be a lifesaving or life-changing medical procedure, a community or school that was hit by tragedy, a home that needs to be rebuilt after disaster struck, a family that just needs that financial jump start to get back on their feet or a bright young mind that needs a shot at a good education, the angels are there to lend a helping hand.